Parkour is a method of physical training that develops one’s ability to overcome obstacles (both physical and mental). It involves movement that will help if one is in a reach or escape emergency situation. Underpinning this is a philosophy of altruism and useful strength, longevity, self-improvement and self-understanding. 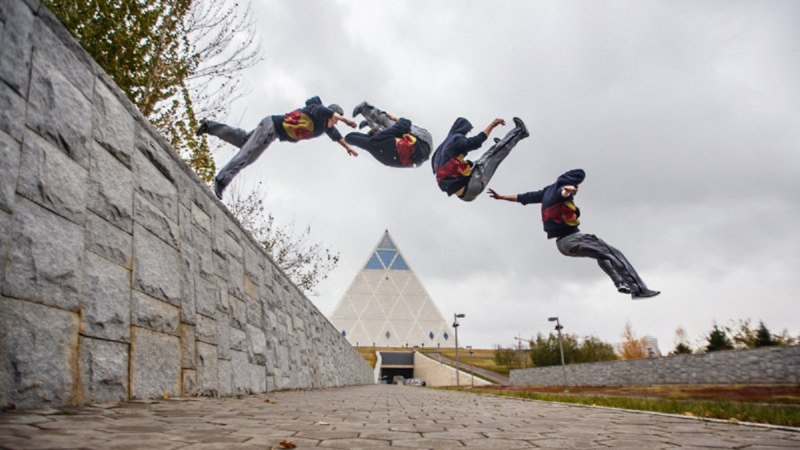 Parkour is also known as the art of movement, where the practitioner (traceur) uses the landscape around him as a playground for his body to feel, experiment and explore. Parkour was developed and practiced in the trees and forests of France just as much as in the cities. It is practised to great effect in the natural environments that have been shaped by time and the elements, and can be rough and jagged as opposed to the smoothed and usually symmetrical man made urban environment.